I am currently working on a tarot deck called This Might Hurt Tarot, launching on Kickstarter April 2019! The deck is heavily influenced by the Rider-Waite-Smith deck, and follows the same symbolism and imagery, with updates to stay with the times. I have never connected to the medieval context of tarot, so with this deck I am drawing a world that I connect to directly. Clothing and scenery are modernized, queerness is embraced, and diversity lovingly acknowledged. I am currently finished drawing the Minor Arcana and halfway done drawing the Major Arcana, after which they will need to be colored and I will be spending my time writing a guidebook and designing packaging. I have been posting some of my cards as I draw them to Instagram under #thismighthurttarot, so if you are interested in this deck the best way to stay up to date is to follow me @this_might_hurt, or check this page regularly. 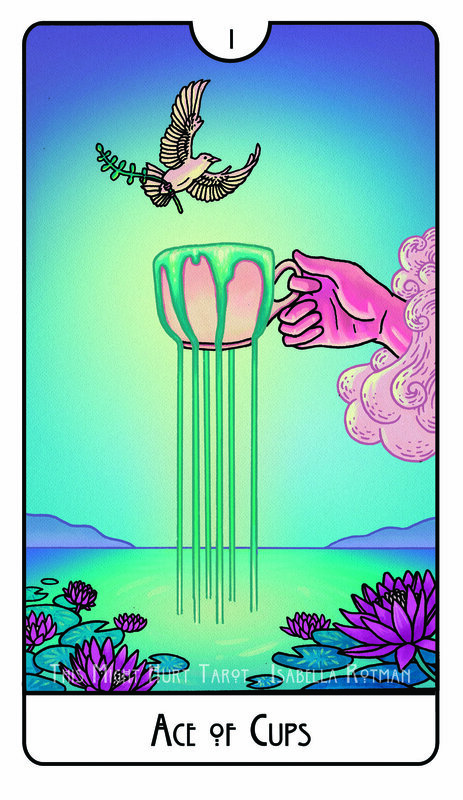 This Might Hurt Tarot is colored by the amazing and talented Addison Duke.